Australia is rich in pokies. It is said that it was here that pokies were born and soon grew so strong that rest of the world too began to like them. They were adopted quite fast by other countries like US and Europe and today are spread all over the world giving players full entertainment and thrill of gaming. Aussie style pokies are popular and famous names in all the casinos of the world be it online or land based casino. In Australia there have been quite a lot of pokies manufacturers which were responsible for producing some of the most fantastic classic pokies which are still found in casinos and pubs across Australia. The biggest pokies manufacturer in the industry today is Aristocrat which have been developing such machines from several decades. Another big name among the pokies manufacturer is the Ainsworth Gaming Technology which was founded in the year 1995 by Len Ainsworth who had earlier been a part of Aristocrat. 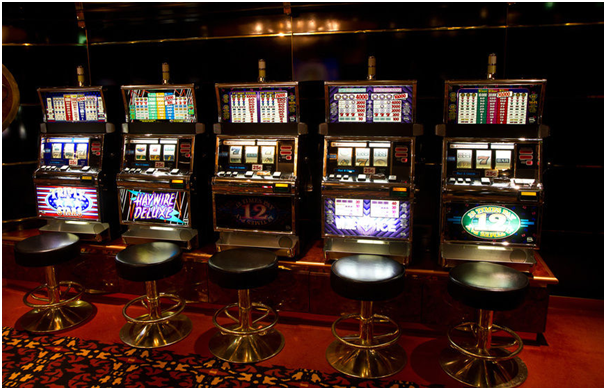 The company has a huge collection of Pokies machines few famous ones like Inca Reef, Wolf King and Aztec Fortune. 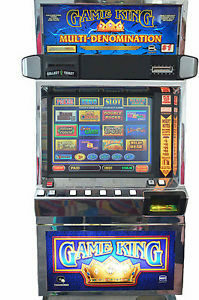 Also there are few other pokies manufacturers besides these two that are known to have high-quality machines. Among them is Konami who has been since 1996 in gaming industry WMS Gaming, Aruze Gaming having hold since 1969, Star Games founded in 2000 and IGT the famous pokies manufacturer since 1981. There are also other manufacturers but above mentioned are the most famous ones in Australia and even around the world. 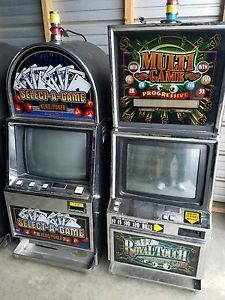 Often the players just come to play at these pokies machines and seldom know about the manufacturers or how these machines work in reality. 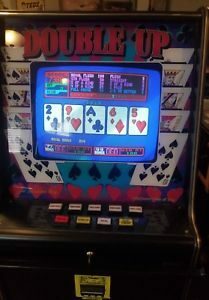 All the machines differ not only in themes, but also in payouts and sometimes information about manufacturer of the machine you play at may help you to understand what odds you have. Therefore understanding the machines is as important as you wish to know about the pokies game you wish to play. In fact, the mechanics of pokies are the same as that of the five reel machines as well as the video pokies games. Inside the machine you will find motherboard which is a part of a computer that has areas for RAM. The EPROM is the main interface card for the game which connects the motherboard to all the buttons and is the read only memory for that machine. The meters inside the machine record all the data about the bets made, the pay outs etc and the cables connect all the components. There is also a note validator which would check the authenticity of all the currency that comes in. The money is stored inside a box inside the machine. There are speakers and lights which are responsible for the music and lights that all players love about the pokies. There would also be an alarm which would notify the floor managers whenever the machine is being opened. Outside of the machine there is the main cabinet where the game is housed. The video screen is the place where the game is displayed. There are various buttons right under the screen which the players have to use in order to play the game. There are also a coin and a note acceptor where the players have to insert the coins in the machine. There is a panel where generally the pay table is displayed for the players. There will also be a tray which is usually placed at the base of the machine. The coins are collected in the tray for paying out to the player. All the reels in the pokies have different symbols printed on them as well as each machines has its own payout. Different symbols create lines with different payouts, so be attentive when playing. When the player hits the spin button, the program randomly selects the number from every reel. The reels start spinning and they come to a stop exactly at the position where the selected numbers and symbols are located on the reels. The results for that spin are displayed on the screen. The pay back percentage of the game is controlled and decided at the time of manufacturing the machine. Even the casino or the pub where the pokies are kept would not be able to change these payout percentages once the machines have been manufactured. 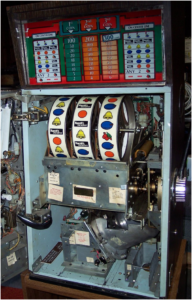 Hope this suffices your curiosity about the inside and outside of pokies machines. Next: How to buy pokies machines in Australia?